Working with Mariano was a great and easy experience. When buying our new house he was a great mediator and worked with the Selling Agent to get us a great price and flexibility to close the new property based on the sale of our current property. Mariano was in constant contact with us, keeping us updated each step of the way. When selling our property he evaluated our house – let us know where to put our focus to get a quick and fair price. The advertising was fantastic before and during – pictures showed the house at its finest. Before the house went on the Market there was interest and on its first day we had several viewings and an offer. The offer was a great offer meeting our exceptions and more. Once again through the whole process – Mariano was in constant contact with us, letting us know what was happening or changing. Finally, he was a pleasure to work with very friendly, knowledgeable and fair with giving us a great commission rate. Thank you Mariano for all your help over this last month. "I would like to thank you for the excellent service you provided me during the sale of my condo this past May. Thank you also for having it cleaned so well and arranging movers for unwanted furniture whilst I was away. It was a pleasure to work with such a professional in the business. I would, and have also recommended you to all my friends and associates who have or would like to purchasing property. Good luck and wishing you all the best in the future"
"We have no hesitation in recommending Mariano Gigante as a realtor to handle of your real estate needs. We have had the pleasure of dealing with Mariano on a couple of occasions. The initial time was to assist with the purchase of a home. While our deal did not complete because of a bidding war, we found Mariano's flexibility and integrity to be such that we knew we would return to him for our next transaction. He demonstrated a current, comprehensive understanding of the local market; the builders, their models, distinguishing differences and resale factors associated with each. He exhibited integrity throughout; he was honest and ethical at all times while at the same time being courteous, respectful and consistently fair with all. He was totally committed and consistently enthusiastic about the things he undertook. He was continually focused on results and performance to ensure sound decisions that would enable us to achieve our goals. He employed strategies enabling a quick sale at a price and with timing that was acceptable and appropriate to both our situation and the buyers circumstances. In his communications, he consistently communicated expectations and information in a clear, timely, positive and respectful way with all. In negotiations, he worked to understand and to be understood, accepting others and recognizing differences. To our benefit he made optimum use of technologies for sales and communications purposes. "We bought and sold our homes through Mariano, very quickly it was obvious that he is a professional who knows the real-estate market. He is up to date with current technologies and mediums to promote your home, is always willing to go that extra mile and makes the buying and selling of a home, a positive and informed decision process. We highly recommend Mariano, as for most a home purchase or sale is usually one of those big life events, based on our experience he is clearly an excellent choice for anyone considering a real-estate agent!" "I've dealt with Mariano for the purchase, rental listing, and sale of my investment property and have been consistently been impressed with his thoroughness, candor, and attention to detail. I'm especially impressed by Mariano's personal focus with a client regardless of the transaction type." "This is my second purchase from Mariano. I would not ever use anyone else as he is available at all times and helped made my sale and purchase of both homes easy and seemlessly. I would highly recommend him and made me feel comfortable in the decisions made. Always looking out for his client first!!!" "Mariano Gigante had exceptional real estate service! He was very hard working and committed to getting us the best price for our home. Very reliable and easy to communicate with. Mariano made selling our first home a very enjoyable experience." "When my wife and I decided to look at purchasing our first property, we contacted a couple of Real Estate Agents, neither of which really seemed interested, let alone excited about representing and assisting us. As luck would have it, a co-worker referred us to Mariano, and we received an almost instant response. Once we discussed our requirements, he then provided us with a list of available properties suited to us – All of this happened within the same day. Mariano promptly arranged our viewings, was always available and punctual. He provided a wealth of knowledge about the area, current sale prices and relevant information the majority of purchaser’s would have an interest in knowing. In a very short space of time, we bought our property, and have been extremely happy and thankful for the guidance, commitment, time and dedication he afforded us. Mariano will always be our first point of contact when considering anything relating to the services he offers. We have no hesitation in stating that his professionalism and standard of work is first class, and will recommend him to colleagues, friends and family. If you want a job done well, Mariano is Agent for you." "Mariano was fantastic in helping me find my new home!! Being a first time home buyer I had no idea what I was looking for or where to start. Week after week we searched for the perfect home. Mariano told be not to be discouraged that you'll know when its the right house. He sure was right, I'm in my new home and loving it. Thanks for all your help Mariano, you're the best!" "When we first approached Mariano to help us with the sale of our home, we were in the process of purchasing a new build which is not scheduled to be completed until winter 2012. However, we wanted to put the house on the market to see if we would receive any "bites". We knew right away that we were making the right choice in having Mariano as our agent. Mariano not only offered to stay with us to wait for the lots to be released for the new build, but he also took the time to come to our home and helped make the decisions easier, and also took the time to ensure that he knew about other agents in Georgetown since it has been known to be difficult for outside agents not always being welcome. Now that's something to say about great customer service and professionalism! Not only was Mariano's professionalism welcome in small town such as Georgetown, but on our first day of showing, being the Easter long weekend, the house wasn't on MLS yet, and we had 4 showings only to go onto about 15 showings and an offer we could not refuse within the first 2 1/2 weeks. Mariano's professional approach and dedication ensured that the house was featured everywhere so that it would be accessible to all agents everywhere. The house sold within the first two and a half weeks and we couldn't be happier with the outcome. With such a quick sale, we were now in a position where we had to purchase or rent a home quickly and Mariano took the time to send listings of all homes in the area within what we were looking for and found us a great transitional home which we purchased while our new home is being built. He took the time to ensure that we were okay with the home and the offer and literally waited until the 11th hour for the offer to be accepted and it was (again a tribute to that personal touch). Choosing Mariano as an agent is the first step to ensuring your home will be sold in a professional yet personal manner. He takes all of his client's decisions to heart and makes sure he treats their sale or purchase the way he would his own. Thank you Mariano for making the sale and subsequent purchase of our homes so easy and quick!" "Mariano was our real-estate agent for the purchase of our first condo and townhouse. He was extremely professional and he was always available when we needed him. My fiancé and I were both first time home buyers and Mariano made the process of buying our home uncomplicated and straightforward. He answered all our questions and concerns and advocated for us so that we purchased our home for the best price possible. When ever we needed him for a viewing he was always available. My fiancé and I are extremely busy people and Mariano took a lot of the stress off our shoulders. There are not many real-estate agents that have the work ethic and honesty that Mariano has. My finance and I needed to rent out our home and Mariano found renters for our first home in four days, for the money we wanted, an 11 month term and he found us great tenants! WOW! If you or anyone you know needs an agent Mariano's expertise and commitment to his clients is truly priceless. Thank you Mariano for your support and helping us make the purchasing of our homes a wonderful experience." "From the first conversation I had with Mariano I knew he was not only professional but an expert on the desired area our family wanted to move to -- Olde Meadowvale Village. As a resident of the area he knew what the history was of homes sold in recent weeks and months right off the top of his head. When it came time to put our house on the market we were so relieved when he found us a buyer in less then 2 weeks! Mariano Gigante is the type of agent you need representing you when you are about to sell your most valuable possession --your home. He was quick to get back to us whenever we had a question or concern about anything. He truly has a way of putting you at ease. We appreciate his efficiency, professionalism and how easy he made the entire process effortless in both the buying and selling of our home. We will highly recommend Mariano Gigante to our friends and family. Thank you again Mariano." "Mariano, both Paul and I would like to thank you very much for everything that you did to make our journey very smooth. It all started with a call to Mariano to give us an estimate on our current home. We weren't sure if we wanted to sell or not and asked Mariano to keep us informed on the listings that came up in our areas of interest. It wasn't long after that we purchased our dream home for a great price, and sold our current home for 98% of asking price, after only 2 days on the market. GREAT JOB !!! Mariano. Mariano was a great help, very professional and knowledgeable. Mariano is friendly and easy to talk to. He does not pressure you, and listen's to what you want and need. Once again thank you very much for what you did for us. We would not think twice about calling Mariano if we had to do this all over again." "Mariano, Both Carla and I want to take this opportunity to thank you for everything that you and your office have done for us. Our Journey started with the Purchase of our new home and ultimately the Sale of our current residence. We have worked with other real-estate agents in the past but have never come across an agent who is truly interested in doing an excellent job from start to finish as you are were. You made purchasing our home house a very enjoyable experience without any surprises or undo stress. You took the time to explain all the steps of the purchase clearly and even provided contacts for financing should it have been required. We're very pleased with the excellent work you have done in helping us sell our house. You took the time to explain the selling process and were always full of invaluable advice. We had showings from the very first open house and always kept us well updated and informed throughout the whole process with respect to market activity. Your extensive and aggressive marketing campaign was unsurpassed and did a terrific show showcasing our home to the market. In the end you surpassed our expectations by doing everything possible to see to it that our home was sold. We would recommend you Mariano to any of our family or friends with our any reservations. Thank you so much for the fantastic service." "Before making our final decision to purchase a new home outside of Mississauga, we reached out to Mariano to obtain a feel for the housing market conditions in our area. Because we were having our new home built and our move in date was almost a year away we wanted to ensure that the timing of our listing was optimal to get us the best market price and to align with our new home closing date. Mariano gave us his professional opinion on where he saw the market going, when we should list and what he felt we could sell our home for when the time came to sell. During the past year, Mariano continued to stay in touch with us. He regularly sent us updates of homes similar to ours so that when the time came to list, we were well informed and confident of what price we could sell our home for. With Mariano's advice and professionalism we were able to sell our home the same day it listed and we sold it at 99% of our asking price. Due to his diligence in spending time with us and keeping us informed he made the selling of our home a great experience. Kudos to Mariano for being a professional that listens to his customer, is honest and gets results!!" "Mariano has recently sold my home in Sheridan Homelands, this is the 4th home he has sold for me and as always has brought in a good offer and got me top dollar for my property. Thanks again Mariano I know I can always count on you to sell me home quickly and get me the most money for my home." "We have been very pleased with how Mariano has handled both the purchase of our new home and the sale of our existing home. Prior to each transaction, we discussed our game plan and stuck with it. He was very informative and offered some great suggestions. What differentiates him from other agents was that he’s simply easy to talk to, never pressures you, and listens to your ideas. The process with Mariano was collaborative and effective. What most impressed us about Mariano was his high level of integrity of which he demonstrated during a challenging situation with a competitive agent. Integrity is a key asset to any successful negotiation and relationship. Integrity alone is why we would always use Mariano for real estate. Thank you Mariano for a job well done!" "Mariano has done an outstanding job for us… we wanted to buy a new home and sell our existing home. With Mariano’s help, we were able to do both in a matter of hours after our house was posted on the market!! Mariano’s guidance during both transactions gave us confidence knowing we got two great deals. He did his research in both areas, he took advantage of the market and he was an excellent salesman to close the deals quickly. We wouldn’t think twice about having Mariano represent us again. Thank you for your help Mariano!" "We hired Mariano to find us our starter home in the Clarkson area. We had a fixed budget but he was able to find us a perfect match and even was able to get us the home we wanted that had multiple offers on it. Great job Mariano! Thanks again!" "I hired Mariano to list my home in Levi Creek, we took Mariano advice and did a few minor upgrades to the home and within a few weeks it had sold for close to asking, Thank you for all your hard work and being able to sell my home for one of the highest prices on the street!" "Thank you for your ability to think outside the box. Your enthusiasm and hard work were very infectious and your optimism was very important in keeping us going through this stressful period. Your work was very professional, your advice invaluable and most importantly, you delivered. We wish you all the best for the future and know that you will excel in the real estate market - your commitment and proactive approach ensures that. If we ever make another move, we know who we are going to call." "I was looking to purchase my first home just after graduating from school. I had particular taste and a very tight budget as a new professional. Mariano was sensitive to my needs and attended to all of my concerns. He was able to answer all of my questions and ease my mind as I purchased my first home. He was knowledgeable and professional and made my experience pleasant and enjoyable. I would recommend Mariano to anyone looking to purchase of sell a home whole heartedly." "Mariano's insight into and experience of the Toronto market were integral to ensuring I got the best value for both the sale of my condo and the purchase of my townhouse. Both of which Mariano worked on for me. He really does listen to what you are looking for and always has your best interests in mind. He is diligent, professional, proactive and will definitely be the first person I call upon when I'm ready to make another move." "Mariano helped us find our first house, he is very patient and knowledgeable. I would recommend him for anyone who is looking for a good agent who is honest and has his clients best interests in mind with everything he does." "Mariano is a great sales agent he did an amazing job selling our place back in 2007. He gave us real good tips on how to perform mini upgrades at a low cost, giving the home a great look and ready to sell. He was quick and efficient and very reliable, a pleasure to deal with. In no time he found a great place for us which accommodated all our needs and sold our home at a price that made us real happy. I am very happy to have chosen Mariano as my agent. I recommend him in every way to sell and buy your new home. Thanks, Mariano!" "Our experience buying our home was a breeze. That was the last thing I would ever have thought. “Buying a home...easy? YES!" My husband and I were planning our wedding at the time and decided to look for new home with the help of Mariano. Since this was a very busy time in our life with the wedding we didn’t think it was possible to now add another task on to our plate. This was our very first home together, and we had several questions and concerns. Mariano not only took the time to answer all our questions morning or night, but also was able to explain in ways that made it so easy to understand. We were and are very happy with Mariano, how he helped us find out first dream home with patience. Buying a home especially your first home can be scary and overwhelming. Mariano did all the searching for us, all we had to do was give him an idea of what we were looking for and he would send us listings of houses that met our needs. Once we pick a few out of his listing, Mariano would either pick us up or meet us at the open house. My husband and I came across several houses that we thought were “the one”, but then we ended up changing our minds last minute. Mariano was very kind, patient and supportive with all of our decisions. He made us feel like we were his only clients. In the end we did find our perfect home thanks to all of Mariano’s advice and help! Thank you for all your hard work and patience. If and when we move in the future we will be call you on you for sure!" "I work two jobs, and was looking for a small townhouse. Mariano practically did everything for me. He helped me and was very patient. My English isn’t perfect, but Mariano spent the time to explain every single little detail with me. What was really important to me was that he always answered his phone. I never had to wait for him. He always made himself available to me, since time wasn’t on my side that made this process very enjoyable and so easy. Thanks, Mariano!" "Mariano worked so hard to find us our perfect home!!! He did his best to make sure he found us a home that suited our lifestyle, everyday needs and in the perfect neighbourhood!!! We couldn't have asked for anything more! Thanks, Mariano!" "Mariano assisted my in purchasing my first home (condo) in 2007 - not only was he able to find me a home that had all the features I was looking for, he was able to help me get it at a great price, allowing me to make the most on my investment." "The purchase of a home is one of the most important decisions we have ever had to make in our lifetime. Mariano helped make this process stress free for us. His client service is second to none - he was very knowledgeable about the houses he showed us, the location and the surrounding areas. He was attentive to our needs and accommodating to our schedule. Most importantly, he is honest and truthful and helped us make the right decision. We would recommend him to anyone that needs to buy or sell a house - you won't be disappointed!" "Mariano was able to find me the perfect house in Cambridge and purchased it for a great price. Then listed my house in Mississauga and even though it was a during the down market, he was able to sell it in time and get me into my new place. I enjoyed working with him and would recommend his service to any of my close friends or family." My name is Mariano Gigante and welcome to my website. 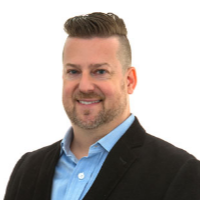 I have been working as a full time real estate agent since 2003 in the GTA specializing in Mississauga and focusing in Olde Meadowvale Village and surrounding area.